The issue of assisted suicide has again been thrust into public view with another UK court case. At the High Court on Wednesday, Debbie Purdy from Bradford failed to win a guarantee her husband, Omar Puente, would not be prosecuted if he helped her travel to the Dignitas clinic in Switzerland. The controversial clinic is said to have helped about 100 people from Britain end their lives since 2003, and a further 690 are reported to be members, which means they may in future opt to travel there for an assisted suicide. Not much is known about the majority who have travelled there, because, unsurprisingly not many are willing to court publicity when the legality of their actions and those of their families are not necessarily clear. But Lesley Close has spoken out in favour of assisted suicide since her own brother John opted to take his life in 2003, rather than face what he saw as the indignity of the final stages of motor neurone disease. Ms Close said it is hard to generalise about the 100 or so Britons reported to have died in Switzerland. She said: "It will be a very diverse group of people and most of them will have had terminal illnesses. "I think you could characterise them as being fairly strong minded, independent people. "It is not an easy decision that they have taken and I think it shows great personal strength. To me, it says a lot about what these people are like." Her brother was 54 when he ended his life with his family at his bedside. Mr Close, who was a musician, was able to hold a farewell party for friends at a pub in Milton Keynes before his death. At the clinic, Mr Close himself pressed the plunger to inject the barbiturates which ended his life. Ms Close said: "My brother was suffering physically, but there was also suffering from the loss of dignity and with the best will in the world, there is nothing that palliative care can offer for that." She said her brother could see "little joy or dignity in being alive" if he became entirely dependent on others and a feeding tube. At least three people from Britain are known to have died at Dignitas who were not suffering from terminal illness and that is something which Ms Close is deeply uncomfortable with. She said her brother's choice was motivated by his deteriorating condition and his consequent suffering - that he had to go Switzerland to end his life is wrong in her view. Ms Close said: "My brother was able to smile right up to his death, and it was hugely comforting for us. He embraced death, which made the grieving process easier, but it was wrong that we had to go to Switzerland for this, and Switzerland was not the place to do our grieving." Ludwig Minelli of Dignitas was invited to contribute to this article. In October 2008 the case of Daniel James, 23, from Worcester, came to light and the CPS began to investigate his death. He was paralysed when he suffered a collapsed spine in a training session at Nuneaton Rugby Club, Warwickshire in 2007. Also in October 2008 Kent man David Witt spoke out to call for a change in the law in the UK. He revealed that the year before he had travelled to Switzerland with his wife Elaine who chose to end her own life. She was 56 when she took the decision and was suffering from terminal cancer. 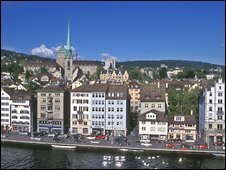 The widow of a man who travelled to Switzerland to end his life called for assisted suicide to be decriminalised in June 2007. Michelle Bennett's husband Paul, whose Motor Neurone Disease left him paralysed and in constant pain, died in a Dignitas clinic in May 2006. In September 2006 the CPS said it would be taking action against Mr Bennett's family over his death. A struck-off doctor who accompanied a Glasgow pensioner when she died paid tribute to the 75-year-old when the story of her death emerged in January 2006. May Murphy, who had a degenerative disease, took a lethal dose of barbiturates to end her life. Dr Michael Irwin said she had been "wonderful and jovial". Retired GP, Doctor Anne Turner took her own life in January 2006 in the company of her family. Dr Turner, 66, from Bath, had a progressive and incurable degenerative disease called supranuclear palsy. She could only walk with a stick and faced a future in a wheelchair. Dr Turner's condition, which also afflicted comedian Dudley Moore, also left with her with badly slurred speech, and she had some difficulty swallowing. In December 2004 a woman known only as Mrs Z won a landmark case to travel to Dignitas. The 66-year-old had an incurable brain condition called cerebellar ataxia. Mrs Z won a High Court action allowing her husband to help her leave the country. Family Division judge Mr Justice Hedley lifted a temporary injunction which had banned the trip, leaving it to the police to decide what action to take. The family of a 76-year-old grandfather who died at Dignitas called for the clinic to closed in May 2004. Gordon Hurst, of Hitchin, Hertfordshire, had Parkinson's Disease and his relatives found out about his death from letters he had arranged to be sent to them after his death. His former daughter-in-law Lesley Miller said at the time he deeply missed his wife of more than 50 years, Jean, who died three years before him. In May 2003, motor neurone disease sufferer, John Close, 54, died with his family at his bedside. The former musician, of Willen, Milton Keynes, pressed the plunger himself to inject the barbiturates that ended his life. 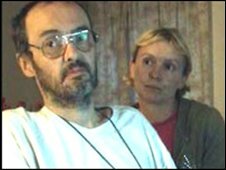 Robert and Jennifer Stokes, from Leighton Buzzard in Bedfordshire, died at a Dignitas clinic in 2003. Mr Stokes, 59, suffered from epilepsy and his 53-year-old wife from diabetes and back problems, but neither was thought to have been terminally ill.
Former docker Reg Crew is thought to have been the first British person to have travelled to die at Dignitas in January 2003. The 74-year-old had suffered from motor neurone disease for more than four years. 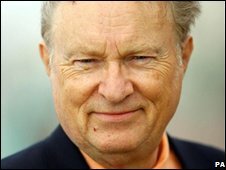 Before drinking water laced with barbiturates, he told a nurse at the Zurich clinic: "I want to die today."